The last lunch. I never thought I’d make it this far. I was convinced even to the very last lunch that I would get found out. How is is possible that no one discovered me? I’m searching for an answer. Months and months ago, back in March, I chatted with my mother about the blog project. I refer to my mother and my husband as my “handlers.” They help me manage everything and make decisions. I could not have done it without them. Where I’m jumpy and anxious, they are level-headed and laid back. Boy, do I have a great support system. I asked my mom, “What do I do if one of the lunch ladies asks if I’m Mrs. Q? I can’t lie.” My mom confirmed, “You have to say that yes, you are Mrs. Q.” She went on, “But if they bring up Mrs. Q in a discussion with you, you don’t have to say anything. You could say, ‘I don’t know how she finds the time. '” Touché! For weeks I entered the cafeteria mentally prepared for a conversation. Not once did anyone ever bring up Mrs. Q or ask me any questions at all. Granted, they are busy people and so am I. We did have various conversations though. On one occasion I brought up Jamie Oliver and asked them if anyone was planning to watch his show Food Revolution last spring. It was before the show aired and a few women said they were interested. And then we got on with our day and no one brought it up again. I think another reason that no one asked me even if they had been aware of the show is that I am a nice person. I have a good reputation. I like chatting with people and getting to know them. I value the work the lunch ladies do for my students, our students. They don’t get a lot of credit in my school, but they should. No staff member touches the lives of basically every student in the school every single day like the lunchroom staff. In discussions I have had with them, I know they care deeply about the students and their welfare. I sincerely hope that when this comes out one day that they don’t think that my interest in them was not genuine. In fact, each conversation I had with them added depth and meaning to my life, my work, and this blog project. I’d also like to make it clear that this project was never about “slamming” one school food company, one school district, or one school. The meals I ate were identical to meals eaten by kids all over this country every day in a school in your neighborhood. This was a campaign to raise awareness. It was a way for me to share my unique viewpoint with parents, a perspective that most parents never get to see even though they are provided with menus. I drank my last fruit cup. 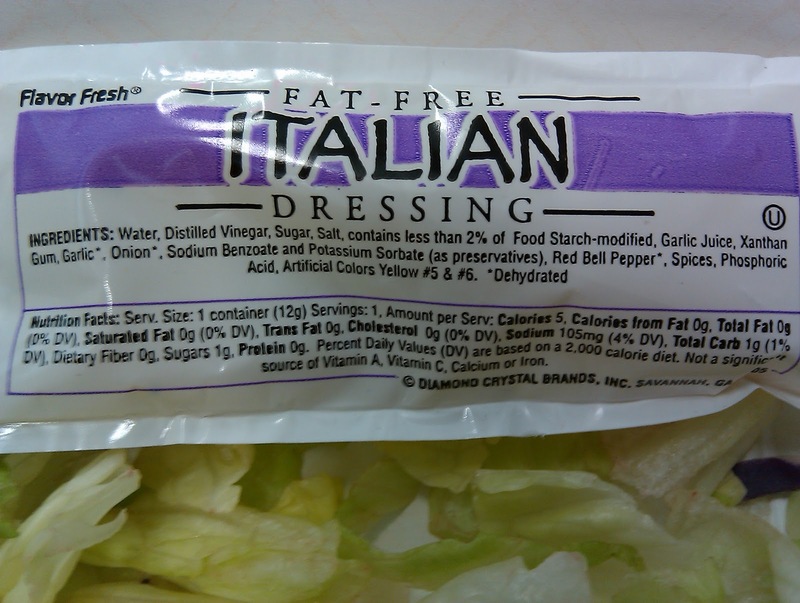 I ate my last salad.﻿ Do I feel sad? Well, no. I am a little weepy with relief though. Like so many aspects of this project, I’m still processing what happened. My sister texted me yesterday after the msn.com exposure, “omgggggg you are amazing!!!!!! !” I adore my sister and she made me smile, but that’s the kind of thing that makes me uncomfortable. Do I feel proud of myself? Hmm, not really. I’m just a regular person, regular job, regular life. I can’t believe I listened. Because I just might have done something to help my students. I just might have helped my family view food in a whole new way. I just might have changed my life. I remain truly grateful to all of you for creating a community around this blog. Let’s continue this conversation next year. In celebration of what we have done, I’ve gone ahead and created a facebook account for the blog (I’m going to disband the ning account as it has peetered out. Since we’re all on facebook, it makes more sense). Please “like” it when you get the chance! STICK A SPORK IN ME — I’M DONE!!!!!!!!!!! Congrats, Mrs. Q, for making it through a year of school lunches!! I got a little weepy reading through this because I am so proud of you for sticking with it. Thanks for raising awareness about such an important issue and for setting such a great example for women, moms, eaters, and bloggers everywhere. It's in part because of you that I decided to start blogging, so thanks for that, too. I can't wait to see what direction your blog will take in the future, especially since we'll all get to know the real you- behind the mask of Mrs. Q! This has been a wonderful journey. I will miss your lunch blogs, but I will continue to be a faithful reader. Thank you for all you have done. Anyways, my main point was congratulations and thank you for the fun read. Congratulations, Mrs Q!! You did it!! But I don't understand…you're ending the blog? I thought you said you were going to continue posting? Thanks! A million thanks for reading. What a trip! I'm going to continue posting and bloggin, but I'm celebrating this massive hurdle that I just jumped over! Phew! 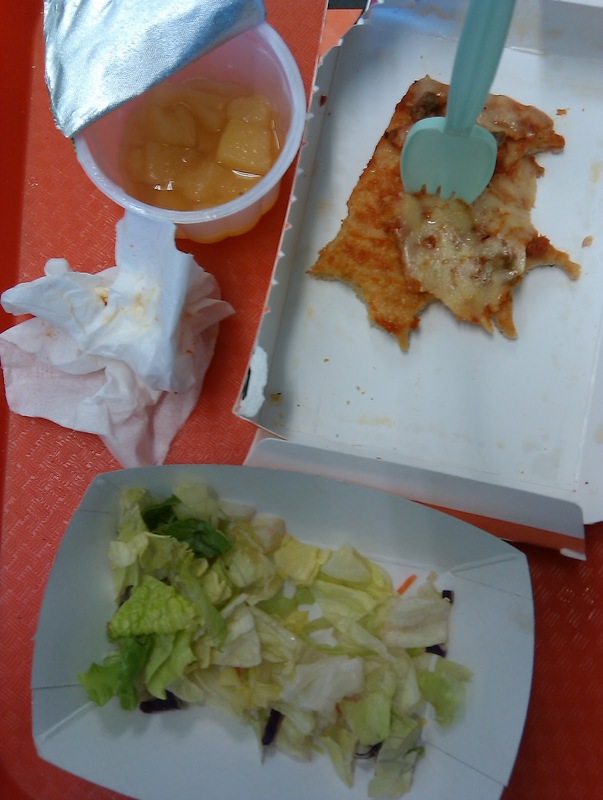 It's actually kind of scary that all the food I've seen flipping through your blog actually looks healthier and seems like they are actually trying to fix something better than old school school food compared to the food served at my kids' school. 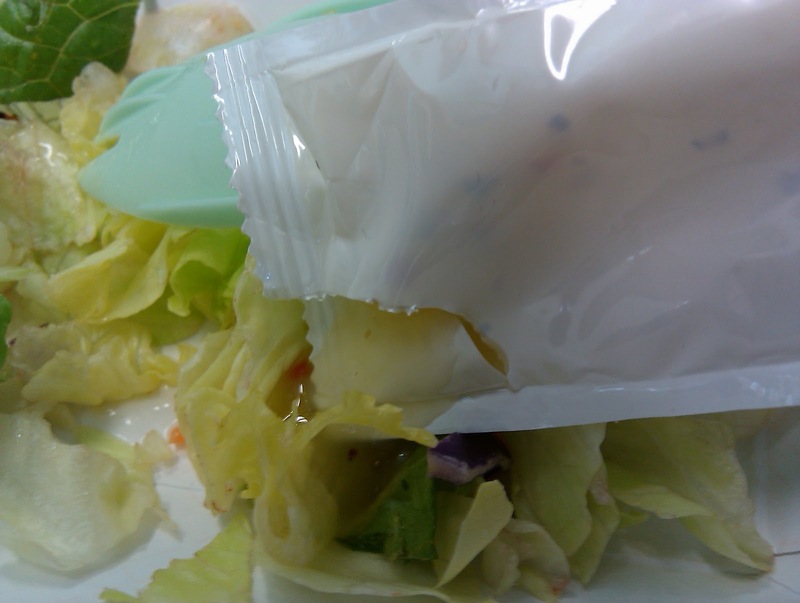 Now that the year of lunches is over, do you think you'll keep your anonymity? As far are you last meal, seems like they could have done a little better for the last day before vacation. 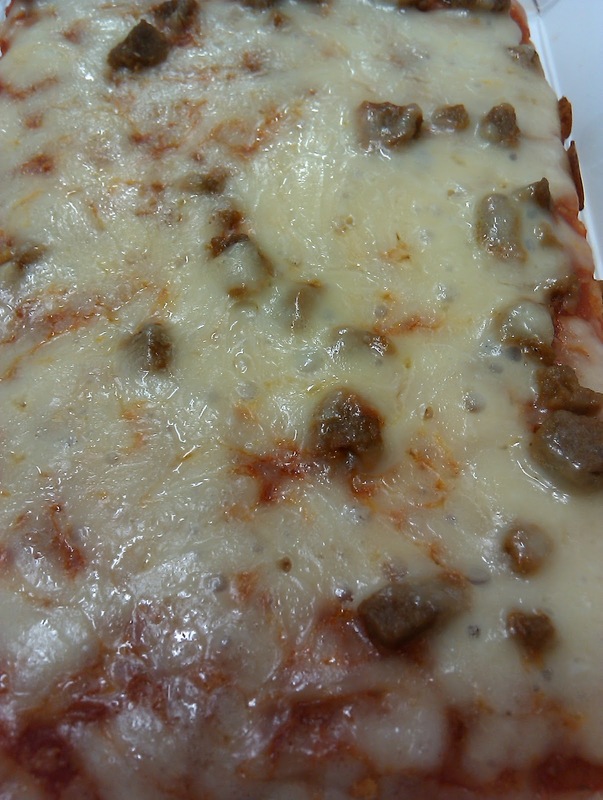 The pizza in the past has never looked this bad (in my opinion). The close up of today's made me gag a little and I don't have a weak stomach :< You are braver than I to have eaten it! I can't wait to see what you blog about in the spring…I hope you and your family have a wonderful holiday! Congrats on making it to the end. I've really enjoyed reading about your journey into this crazy, mysterious land our children visit each day, the lunchroom and getting to peak at what what is considered to be food. I'm very happy that you made it to the end and brought so much attention to this much attention to this topic. Kudos to you on a job well done. For many personal reasons, I'm not on Facebook, but I'll continue to read your blogs here as long as it's active and on Twitter. Congrats again! I've really enjoyed reading your point of view!!! Congratulations on eating your last school lunch! I have throroughly enjoyed reading your outstanding blog over the last year. I commend you for your bravery and perseverance bringing light to this issue of what we are feeding our children. You single-handedly started a Food Revolution! I will miss your daily posts, but I'm sure you will not miss the lunches!! Best wishes on your future endeavors. Farewell! Saw the NBC article and made my way here. Kudos on this great project! The kids of America thank you! Congrats. I don't know how you managed to last a year. 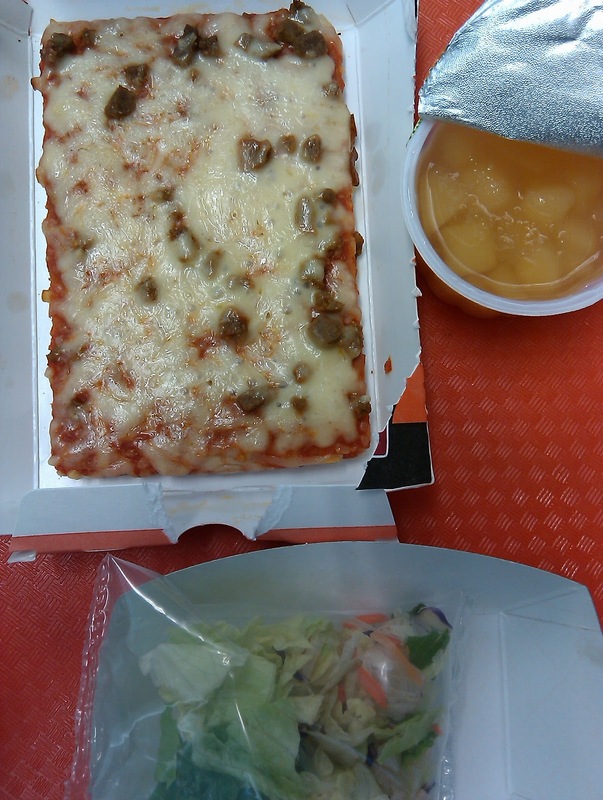 I went to my daughter's school the other day to have lunch with her and the school lunches looked horrible. Most of the kids only had a few bites of the chicken burger and tossed the fruit cup and greasy green beans. Can't blame them. i wish you weren't so nervous about the exposure though. i think you'll find that people will be understanding and proud of you. i truly don't think you need to be so concerned! Congrats, Mrs. Q! I've been reading your blog for a while now (I think since about March) and I rarely comment, but I felt like I needed to thank you for everything you have done! I'm a junior in college studying to be a teacher, and I admire your multitasking and dedication. You're wonderful for doing this for the kids. Thanks again and I'll miss your food posts! Congratulations on making it all the way to the end of the year! Are you ever going to have any of the lunches from the cafeteria again? I may not comment much, and I don't have kids (yet) but your blog has certainly brought awareness to what I buy at the grocery store for my husband and I. 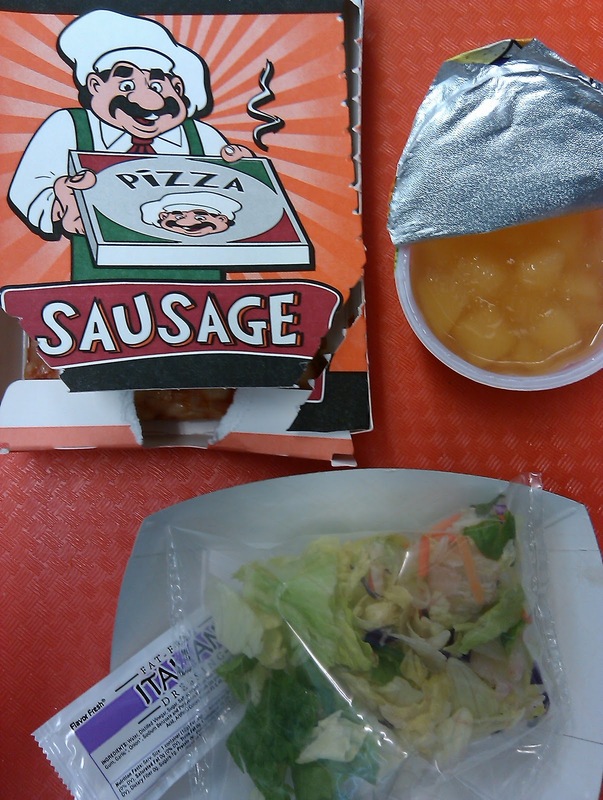 When we do have children, I will be watching the school lunch menu more carefully. Thanks for everything you've done, and for bringing awareness to so many. Cheers! You have changed a lot of lives, Mrs. Q, by raising awareness about the fuel we put in our own and our children's bodies. Congratulations on achieving such a bold goal – I'm not surprised you find it a little unbelievable that you are done! I think it's probably the same feeling that someone would get crossing the finish line of their first marathon. I look forward to the ongoing discussion of food and nutrition in your blog. Congratulations! And thanks for being an inspiration to us all. Rejoice in the fact that in my state, you would have had 180 of those lunches. 🙂 Glad you're done, and enjoy the transition to mostly gluten-free. If I had a blog with recipes, I'd send you there, but I don't. I've been gluten-free for years and years (OK, just 6 1/2!) and have found some wonderful recipes. So if you're ever looking for something in particular, post about it, and I'll try to share. Congrats! You made it! Nice job staying under cover. Not all of us are on Facebook so I guess this is goodbye. I have enjoyed following your blog as I work at a school and could relate to many of your thoughts and feelings regarding school lunch. Congrats!! The MSN exposure makes it full circle for me, because I came to your blog after it was featured on the yahoo homepage way back when. I'm excited to see what else you post and how the blog evolves in the next year and more. I am excited to see how school lunches change with the new legislation and the publicity that has come about in the last year or two. Way to go Mrs. Q! Amazing how the "simple" idea of eating school lunches each day has evolved into your complete transformation of your relationship with food. How ironic, appropriate – what is the word – that your "last meal" [sounds like Death Row] was the dreaded pizza. You are to be commended for this project. I have always made my kids' lunches because I was never happy with the school lunches compared to what we were given when I was growing up. You raised awareness and that is always a good thing. I have been away from the net for a few but was anxious to read your opinions on the bill that was just passed regarding school lunches. I will have to read your archives to see what you have to say. congratulations!! For my son's 'holiday' party I took cheese & crackers, pinapple & grapes, and a veggie tray. We placed these items at the front of the line before all the chips, cookies, cupcakes, etc. I made sure to ask each child if they wanted some and served them. Kids will eat healthy if offered to them and they are able to have time. I can't wait to see what you'll write about next. Congrats for creating such a great blog w/ so many enthusiastic followers. I hope that you keep the writing up, I really enjoyed and looked forward to what you had to say. Happy Holidays and enjoy a well deserved break! Congratulations, Mrs. Q! You did it! Have a happy 2011. Congratulations!!! It has been such an honor this year to follow your journey – you are one brave woman – and thank you for your courage to raise greater awareness. Things MUST CHANGE! We were honored to have you grace our pages, and hope we can entice to do again soon. I'm happy that I found your blog and at the same time saddened that I found it only AFTER your year-long journey was over! It's one thing to deride the quality of school lunches but quite another to actually SHOW the reality of it day in and day out. Thank you so much. I think you've likely opened a lot of eyes to the food revolution that's needed for o children. Oh, God, I remember those pizzas. I also remember the disgusting meat sauce for spaghetti- fortunately the noodles had enough “butter” I could ask for no meat sauce!